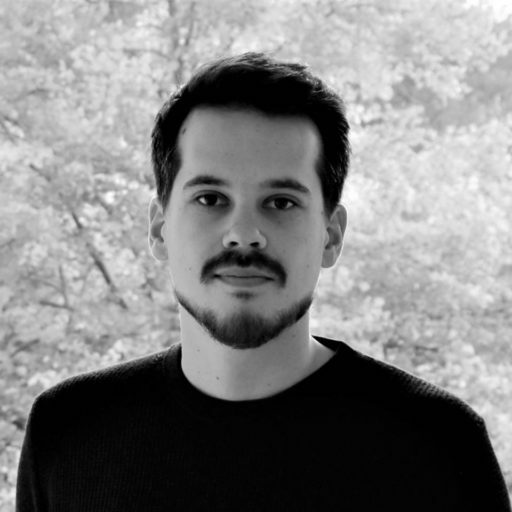 Dr. Benjamin Boudou ist Postdoc Fellow am Max Planck-Institut zur Erforschung multireligiöser und multiethnischer Gesellschaften. On July 6 2018, the French Constitutional Council ruled that the commonly called “delit de solidarité” or “solidarity offense” which criminalises any person who facilitates the irregular entry or stay of a foreigner in France is partially unconstitutional. Even if the legislator has to reconcile the constitutional principle of fraternity with the safeguarding of the public order, the former implies the “freedom to help others, for a humanitarian purpose, without considering the legality of their residence on the national territory”. The exemptions, preventing judicial proceedings in certain circumstances, will now protect people helping the circulation of foreigners, whatever their status and the legality of their residence, even if facilitating entry on the territory is still forbidden. And while helping had only been legal if done in order to protect the dignity and physical integrity of a foreigner, the Council now considers that fraternity “could not be interpreted differently as encompassing any act of help done with a humanitarian goal”. In order to understand the legal and political importance of this decision, it is necessary to unfold what is at stake with the solidarity offense, what is its legal history and why it became so publicized in the French context. While the idea of hospitality has never been so present in the French public debate, a series of arrests, trials and court decisions has compromised the practice of helping migrants, even by private citizens. What the sans-papiers protests of the 1990s decried as solidarity or hospitality offense has recently returned to spur a new indignation. “Any person who would have facilitated or tried to facilitate, directly or indirectly, the irregular entry, circulation or stay of a foreigner in France” could face five years in prison and a 30 000 euro fine (article L622-1 of the Code for Entry and Residence of Foreigners and Right of Asylum). This does not apply in three situations (art. L622-4): (1) if the person has family ties (parent, child, sibling) to the migrant; (2) if the person has marital ties with the migrant; or (3) if the action has been done in a situation of real or imminent danger to protect the life and physical integrity of the foreigner (unless there is a disproportion between the means used and the seriousness of danger, or if there is direct or indirect compensation – I will discuss this later). The French parliament has recently adopted an amendment to qualify the last exemption: a citizen would not be punished if he or she offered “juridical, linguistic or social help, advice, food, housing or medical care in order to secure dignified and decent living conditions”. Any other type of help aimed at “maintaining the dignity or physical integrity” or “transportation directly linked to one of the above exemptions” would also prevent punishment, if and only if the action has not been directly or indirectly compensated or done for profit. The principle of sanctioning people “gravitating around undesirable foreigners”, as it was stated in the very first version of this law, emerged in 1938 and primarily concerned the forging of fake identity papers. The law evolved throughout the years, aggravating the sanctions, but was essentially targeting organized groups or exploitative practices. Following the trials of spouses of migrants in the 1990s, and emblematic cases such as the trial of Jacqueline Deltombe, various associations (in particular the Group for Information and Support of Immigrants or GISTI, which coined the expression “solidarity offense”), mobilized and successfully demanded the codification of exemptions. The juridical sequence started in 1993 with the “Pasqua” law (law 93-1027, 24/08/1993) on the control of immigration. The general justification for the strengthening of the conditions of entry, family reunification, and so on, was the need to adapt French law to European law. The convention implementing the Schengen Agreement stated that “The Contracting Parties undertake to impose appropriate penalties on any person who, for financial gain, assists or tries to assist an alien to enter or reside within the territory of one of the Contracting Parties in breach of that Contracting Party’s laws on the entry and residence of aliens.“ (art. 27.1). Interestingly, France removed the phrase “for financial gain”, and thereby officially included in prohibition those acting for ideological motives, prevalent in terrorist networks. This omission created the possibility of penalizing someone helping migrants for another, arguably ideological, motive, i.e. humanity or solidarity. The EU confirmed in 2002 (Council Directive 2002/90/EC) the obligation for member states to “combat the aiding of illegal immigration”. However, it insisted that intentionality and financial gain are the necessary conditions for the offense to occur. The GISTI has meticulously tracked all the cases of solidarity offense, and legal scholars have frequently noted the vagueness of the laws prohibiting the aiding of migrants (what is the exact scope of the dignity or decency of a migrant’s life? ), the uselessness of such laws in tackling other offenses or crimes (human trafficking, false documents forging, violence, etc. ), and the abuse of the spirit of such laws in cases involving loving partners, taxi drivers, or transportation of in-laws. The financial gain has become a sufficient but not necessary condition. The most famous case is probably the one of Cédric Herrou in the Roya Valley between France and Italy. Herrou, a farmer, has been arrested several times for having transported migrants from Ventimiglia to France. He housed them at his home and in a disused railway station. He was first charged with harboring migrants (and thus, having driven them), considering that “global situation of indignity and distress” of these isolated migrants triggered the humanitarian clause. But the court of appeal, a few months later, went in another direction, arguing that: “Cedirc Herrou’s actions, as he himself claimed and confirmed several times, are part of an activist endeavor, which aims at shielding migrants from controls of public authorities used to enforce the legal dispositions related to immigration.” The Procureur de la République (attorney general) claimed “when aiding is part of a global contestation of the law, it serves an activist cause and constitutes a compensation [contrepartie]”. From a normative point of view, this is particularly problematic, because it implies that a “contrepartie” encompasses not only material compensations (i.e. money or goods or services) but also moral ones. It seems that benefitting symbolically from an act of hospitality could prevent the act from qualifying as disinterested, hence truly humanitarian. The fact that a firm definition of a disinterested act has eluded political and moralist thinkers since at least the seventeenth century1)See Jon Elster, Traité critique de l’homme économique : le désintéressement, Paris, Seuil, 2009. does not seem to bother the prosecutor. Giving, helping, welcoming, comforting, may come with a “warm-glow” or “Valmont effect”, as Jon Elster coined the term based on the Vicomte de Valmont’s description of his feelings at the end of Choderlos de Laclos’s Dangerous Liaisons: “My eyes filled with tears and I felt within me an involuntary but delightful emotion. I am astonished at the pleasure one feels at doing good. And I should be tempted to believe that those whom we call virtuous do not have so much merit as we are led to believe”.2)Quoted in Jon Elster, “The Valmont Effect: The Warm-Glow Theory of Philanthropy”, in Patricia Illingworth, Thomas Pogge, Leif Wenar, Giving Well: The Ethics of Philanthropy, Oxford, Oxford University Press, 2011. In the case of Herrou, in the same way that one could call someone a hypocrite for a charitable act taken in order to feel the “delightful emotion” (instead of enjoying this emotion independently of the good deed made for its own sake), the court accuses Herrou of helping migrants in order to promote his political agenda. First, this accusation is factually far from obvious. In an interview, Herrou claims that his actions towards migrants come from an emotion, a feeling of responsibility. In other words, the political agenda – such as opposing immigration laws, making a public statement about the illegitimacy of the power exercised at the borders – is a by-product. Second, in order for a court to remain coherent while looking into the motives and considering activism, it should be able to distinguish between a pure activist motive for a humanitarian action, and activism as a pure by-product of a humanitarian action. I do not believe it could make such an assessment, since every humanitarian action involves activism as by-product. Even when the social actors themselves claim – which is often the case3)Serhat Karakayali, “Practicing Willkommenskultur: Migration and Solidarity in Germany”, Intersections. East European Journal of Society and Politics, 2 (4), 2016, p. 70-86. – they are apolitical or engage in humanitarian actions precisely because they do not wish to be political, the act itself is still political in and of itself, since it signals the disengagement, inefficiency, or brutality of the state. Why has this issue become so prevalent in France these last two years? The solidarity offense speaks to the very nature of French political identity. The often-repeated motto “France, terre d’accueil” (France, land of welcome) is contested and disputed in these trials, with Cédric Herrou insisting that he acts according to French values. “Rest assured your Honor, I will remain faithful to my convictions. My France, our France will continue to protect the rights of men, women and children present on French soil, in the name of our values founding the French Republic”, he said after his arrest in January 2017. The politicization of the solidarity offense signals the ongoing dispute about the legitimacy of this republican narrative. Now the very recent ruling by the Constitutional Council is promising. Operationalizing the constitutional principle of fraternity and applying it beyond the strict borders of the citizenry constitutes a giant step towards a cosmopolitan understanding of French republican values and a strong signal that could inspire a more hospitable Europe. 1. ↑ See Jon Elster, Traité critique de l’homme économique : le désintéressement, Paris, Seuil, 2009. 2. ↑ Quoted in Jon Elster, “The Valmont Effect: The Warm-Glow Theory of Philanthropy”, in Patricia Illingworth, Thomas Pogge, Leif Wenar, Giving Well: The Ethics of Philanthropy, Oxford, Oxford University Press, 2011. 3. ↑ Serhat Karakayali, “Practicing Willkommenskultur: Migration and Solidarity in Germany”, Intersections. East European Journal of Society and Politics, 2 (4), 2016, p. 70-86. SUGGESTED CITATION Boudou, Benjamin: The Solidarity Offense in France: Egalité, Fraternité, Solidarité!, VerfBlog, 2018/7/06, https://verfassungsblog.de/the-solidarity-offense-in-france-egalite-fraternite-solidarite/, DOI: https://doi.org/10.17176/20180706-155440-0. Quelle position l’auteur prend-il à l’égard de la peine de Mort? Après avoir lu cet article, la décision et le commentaire d’arrêt officiel du Conseil Constitutionnel, je me pose la question si la Cour de Cassation (ou le Conseil lui-même) n’aurait pas dû demander à la Cour de justice de l’Union Européenne de statuer sur la question de conventionalité de la clause humanitaire mentionnée en article 1 n° 2 de la directive 2002/90/CE pour les cas de séjour et de l’entrée. Le Conseil a décidé premièrement qu’il n’y point de distinguer entre la circulation et le séjour (paragraphe 12.) Puis il a décidé (paragraphe 14) que résulte une réserve d’interprétation du principe de fraternité telle que tous les actes apportés dans un but humanitaire relatifs au séjour (et en conséquence du paragraphe 12, à la circulation) doivent échapper le délit de solidarité. Donc est-ce que ce n’est pas tout d’abord une question de conventionnalité si le 3° de l’article L. 622-4 est une transposition licite de la clause humanitaire ? Ou si cette clause humanitaire dans cette formule est elle-même conforme au droit primaire de l’UE, notamment à la Charte des Droits Fondamentaux de l’Union Européenne ?